There are few golf thrills like teeing up for the first time on Oitavos Dunes. You feel the light, sense the presence and anticipate each and every hole, while recounting some of the greatest landscapes in golf courses. Enjoy your morning cup of coffee on your private balcony while overlooking the Oitavos Dunes fairways, the Ocean and the mountains where Roman Gods have walked. 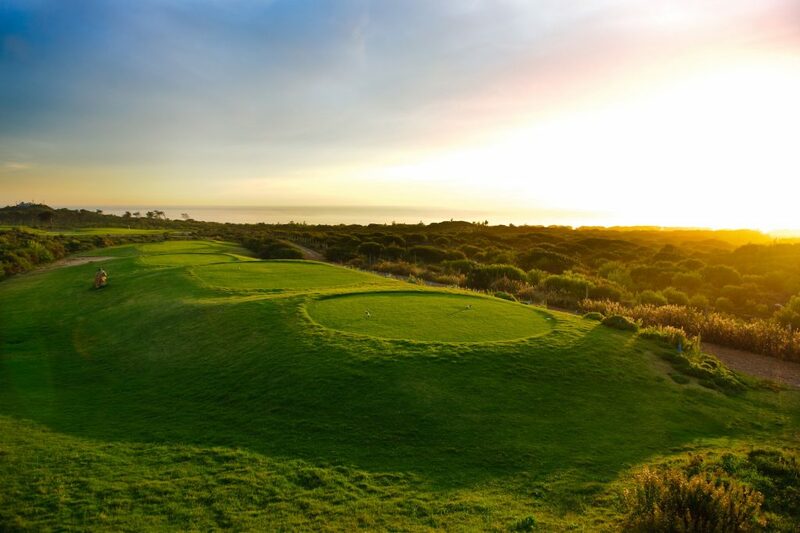 Every golfer deserves to play “Oitavos Dunes” at least once in his or her life. There’s no time like the present. Best rate guarantee. Book direct to save 10% and get special offers. Rates are subject to availability and may change. The package includes tax and service. 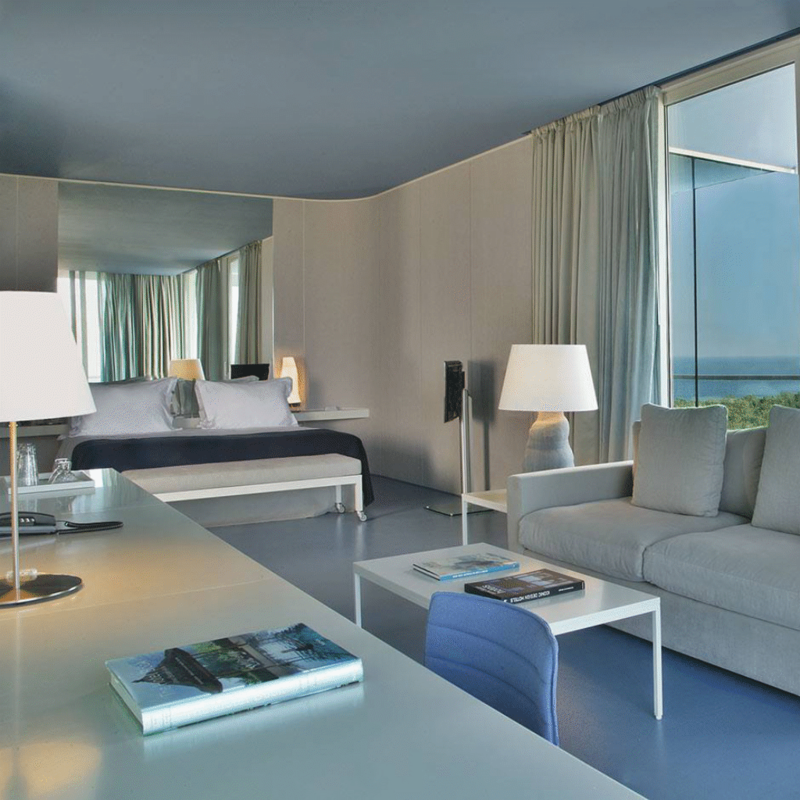 The Oitavos hotel sits on the coast near the quaint seaside village of Cascais, in close proximity to Portugal’s capital of Lisbon. The rooms are spacious and offer a separate lounge area and private balcony. They are well-appointed and provide a sanctuary of serenity. The hotel is nestled among natural sand dunes and is surrounded by Oitavos Dunes, a Top 100 Golf Course. Golfers may step out of The Oitavos and walk to the first tee for an unforgettable experience of natural links golf on a world class design. There is a real sense of occasion when you play Oitavos Dunes… Links golf as it was meant to be, a golf experience never before found in Continental Europe. The course lies in the heart of the Sintra-Cascais Natural Park, near Lisbon, designed by the legendary Arthur Hills to blend seamlessly with nature and the magnificent sand dunes beside the Atlantic Ocean. Debuting in 2001, it is recognized today as one of the finest natural links golf courses in the world. 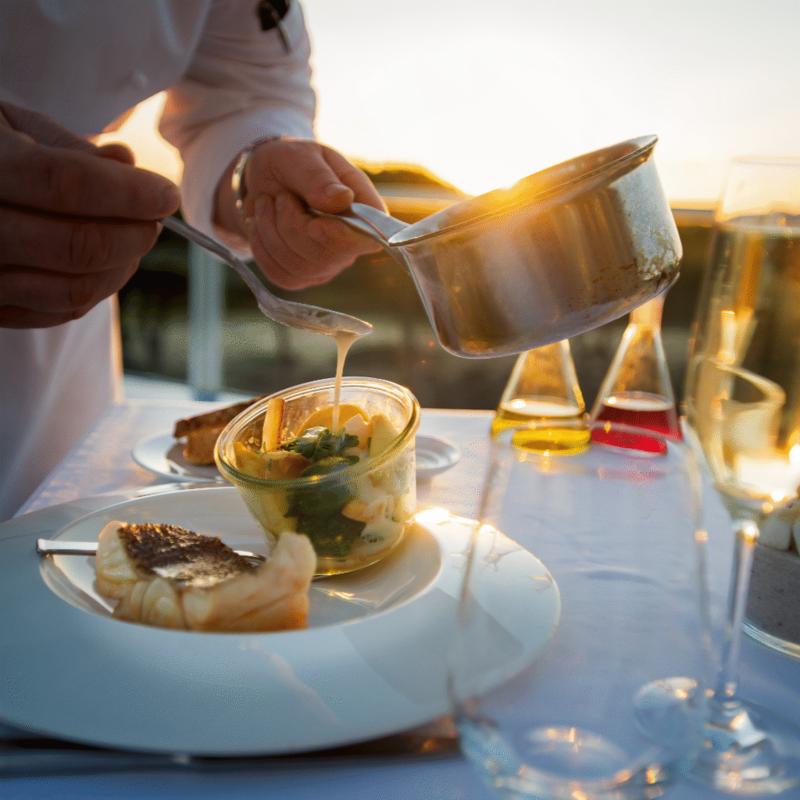 Relaxed, with a good sense of humor, Head chef Cyril Devilliers, who trained under France’s esteemed three-Michelin-star Michel Guérard, oversees the food offering at each of the hotel’s four restaurants. Organic and seasonal produce from land and sea is grown or sourced from local farms or sustainable cultures, and masterly cooked for you in ways to ensure the best natural flavours. There are few golf thrills like teeing up for the first time on Oitavos Dunes. Round up your friends and play at Oitavos Dunes. A Golf getaway on a unique surrounding.